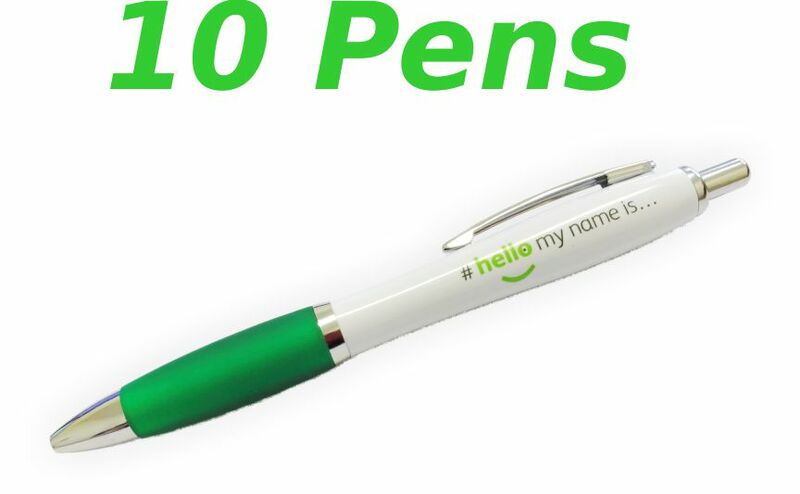 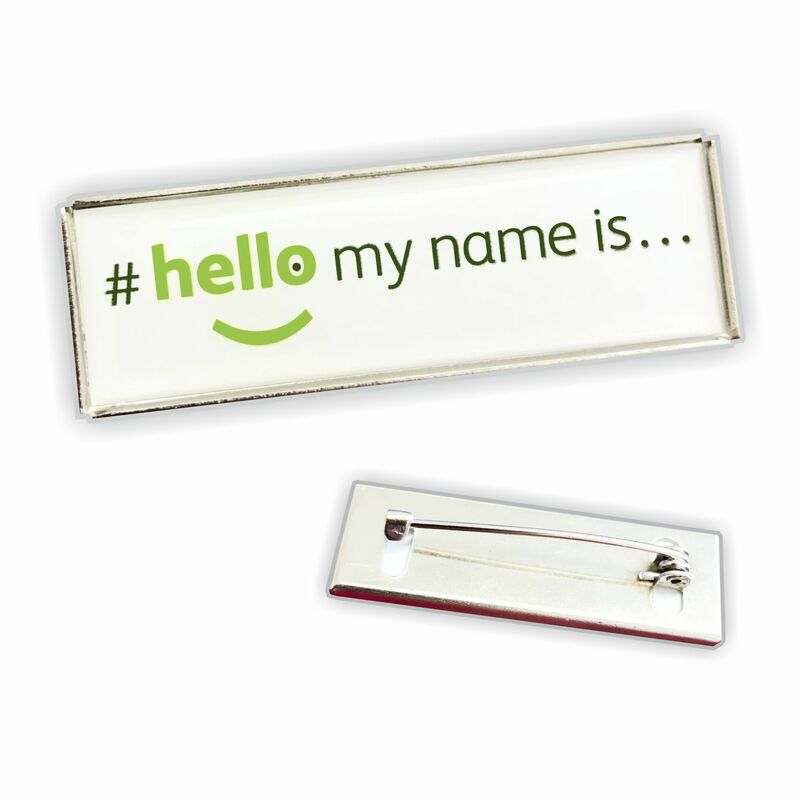 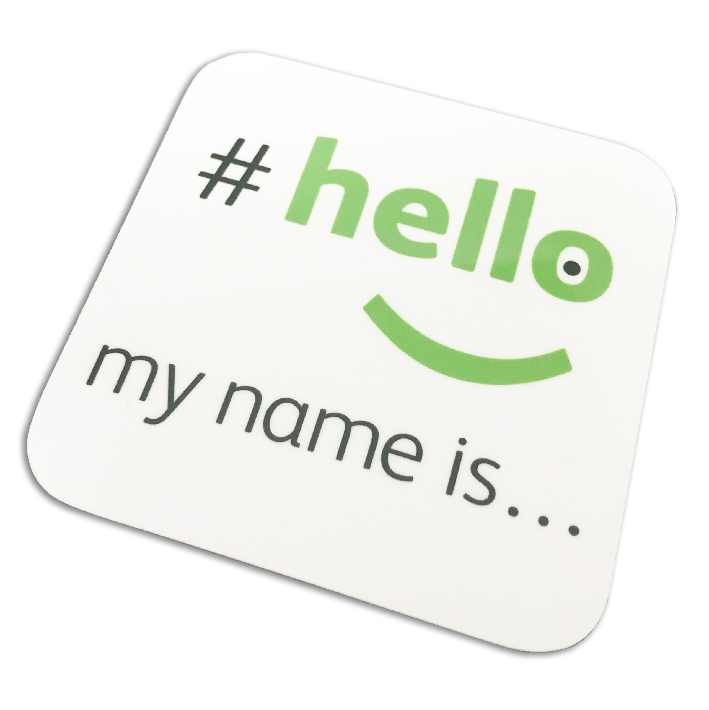 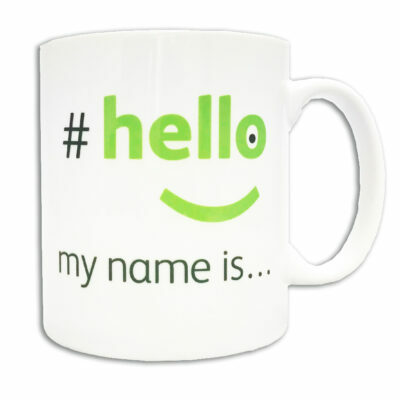 Branded Hello My Name Is pens with the #hellomynameis logo on a white background, black ink. 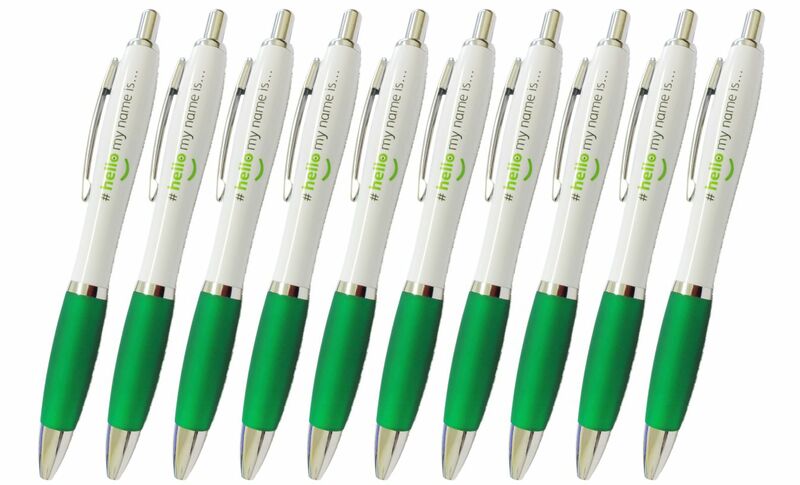 Show your support for the hellomynameis… campaign with these branded pens. 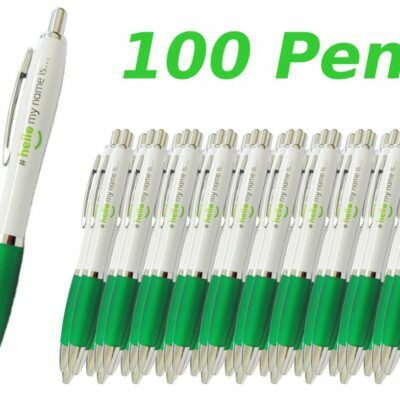 We are an official supplier of these #hellomynameis… pens and as part of this campaign we donate .50p for every 10 pens sold to the Leeds Cares Charity formally The Yorkshire Cancer Centre.